Digitization help student to explore and study their academic courses online, as this gives them flexibility and scheduling their learning at their convenience. Kidsfront has prepared unique course material of Numerical Ability Pei Chart for UIIC ASSISTANT RECRUITMENT student. 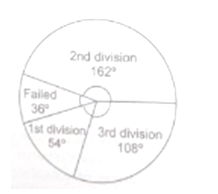 This free online Numerical Ability study material for UIIC ASSISTANT RECRUITMENT will help students in learning and doing practice on Pei Chart topic of UIIC ASSISTANT RECRUITMENT Numerical Ability. The study material on Pei Chart, help UIIC ASSISTANT RECRUITMENT Numerical Ability students to learn every aspect of Pei Chart and prepare themselves for exams by doing online test exercise for Pei Chart, as their study progresses in class. Kidsfront provide unique pattern of learning Numerical Ability with free online comprehensive study material and loads of UIIC ASSISTANT RECRUITMENT Numerical Ability Pei Chart exercise prepared by the highly professionals team. Students can understand Pei Chart concept easily and consolidate their learning by doing practice test on Pei Chart regularly till they excel in Numerical Ability Pei Chart. 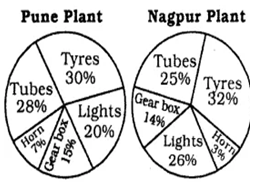 The pie charts, given here show some automobile parts manufactured by an automobile company at its Pune and Nagpur plants in the year 2009. Study the pie charts and answer question numbers 148 150 based on them. How many percent more tubes were produced at the Pune plant than those produced at the Nagpur plant ? 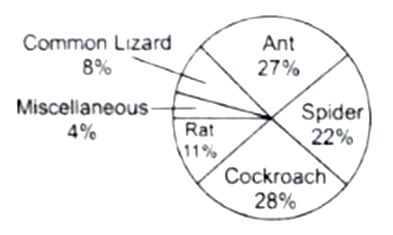 The following Pie chart shows the contents of insects and rodents in an average Indian Household . Examine the chart and answer the question .